This past weekend, I went on an 80-mile, 4-hour bus tour of various sites in Caroline County, Md., that are known for paranormal activity. 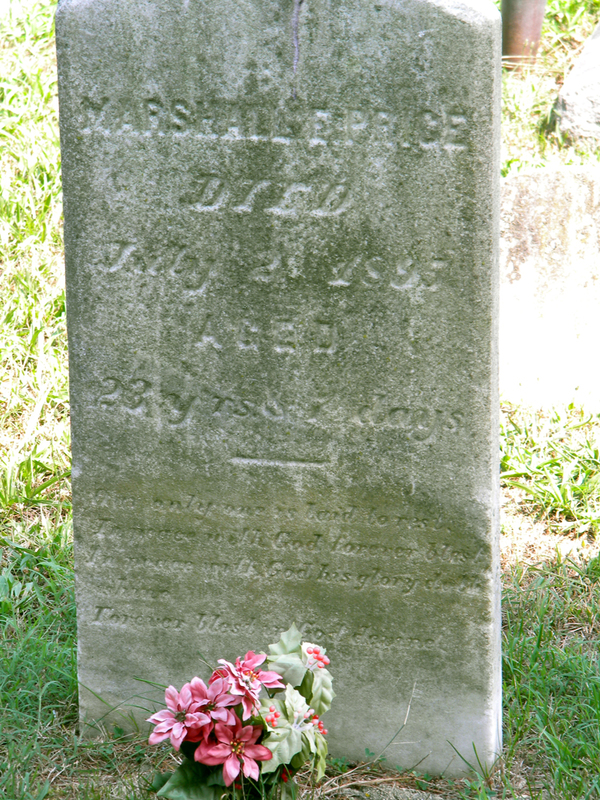 One of the stops was the Denton cemetery, to visit the graves of Marshall Price and Annie Bell Carter. Marshall Price was captured after the murder of 13-year-old Sallie Dean in Harmony, Md., in 1895. An angry mob dragged him from the Denton jail and lynched him after it appeared he may escape the death penalty on a technicality. He was 23. In the cemetery, all of the graves but a handful face north-south. His faces west “so that his back will be to his Maker,” explained Mindie Burgoyne of Haunted Eastern Shore, who led the tour. It is unknown who left the flowers by his grave. He had no children, but was survived by his wife and mother. It is said that all of the men directly involved with the lynching died horrible deaths (drowning, burning, struck by lightning, to name a few) and all within five years of killing Price. Sallie’s ghost is said to haunt her former home. Newspaper articles about the case are available online through the Maryland State Archives. Annie Belle Carter, a young woman, died after she took ill at her home, falling from the second-story balcony of Willson’s Chance outside Denton. She was impaled on a tree stump, but it took days before she died from her injuries. The choice of a stump for her tombstone seems rather… morbid. The phrase at the foot of her grave is especially poignant though: “How Many Hopes Lie Buried Here.” There have been stories about sightings of Annie’s ghost on the lawn of Willson’s Chance, a private home. Apparently she was the second young woman to die after a fall from that balcony — a teenager is rumored to have thrown herself from the balcony in protest of an arranged marriage. 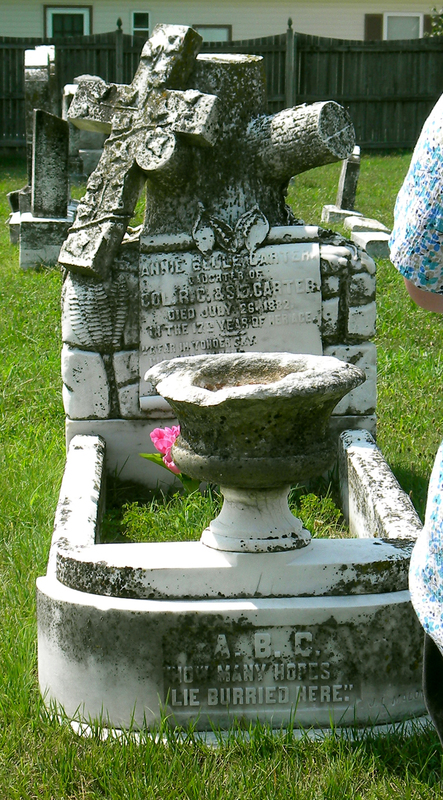 The complete stories behind these individuals can be found in “Haunted Eastern Shore: Ghostly Tales from East of the Chesapeake,” by Mindie Burgoyne.